Weinergate. It’s all over the news. 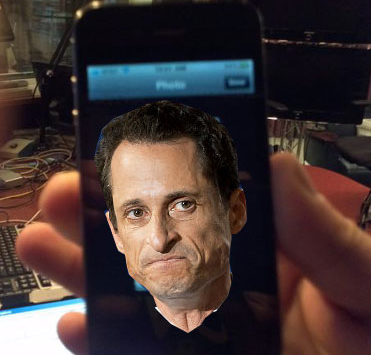 From the crazy crotch shot photos of Congressman Weiner, to the absurdity of his wife’s married name (Huma Weiner), to his recent “rehab” check-in — you just can’t make this stuff up. And it all started over a careless tweet. Lesson #1: Scandal can be easily avoided by taking a few seconds to double check your state of affairs. There are plenty of pitfalls when you’re flirting via social media, but there are also ways to use it to your advantage. Just ask resident expert Laurie Davis, who met her boyfriend over Twitter. Inspired by Mr. Weiner’s faux pas, here are our top three rules for flirting in 140 characters or less. First of all, you should never be sending racy photos via Twitter. What are you thinking?! Keep the photos between your smartphones, and if you don’t have each other’s number, you probably shouldn’t be sending them in the first place. Make sure your crush is single. Some simple Facebook stalking usually makes this clear. But if they don’t make their status known, watch their Twitter stream on the weekends. If they’re tweeting on a Saturday night, they’re probably not on a date. Get to the DM faster. Once there’s a hint of flirting to your tweets, take it to a DM. Flirting in private makes the exchanges more exciting and your match will be more likely to let their guard down. Faster first dates? Check. Everyone loves to see a friendship grow into a budding relationship, but no one wants to see what goes on behind closed doors. So get a virtual room and throw away the key.